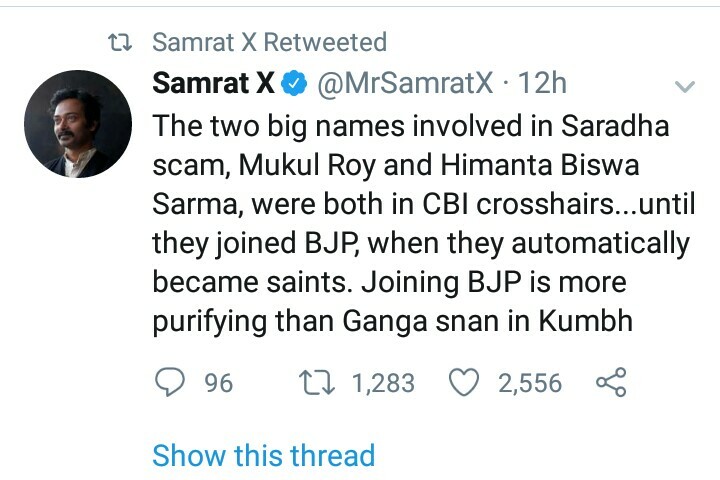 Former union minister and ex-Rajya Sabha member from Assam Matang Sinh feels that Himanta Biswa Sarma has turned from an accused in a multi-crore scam to a saint overnight by joining the saffron brigade. ‘The two big names involved in Saradha scam, Mukul Roy and Himanta Biswa Sarma, were both in CBI crosshairs…until they joined BJP, when they automatically became saints. Joining BJP is more purifying than Ganga snan in Kumbh’. To this tweet, Matang Sinh replied that he totally endorses the view. It may be recalled that Assam finance minister in the BJP-led Sarbananda Sonowal government had also considerable influence when he was a minister during the Congress regime. During that period, he was accused in the multi-crore Saradha scam for which he was summoned on couple of occasions by the Central Bureau of Investigation (CBI) to Kolkata for grilling. However, all those investigations against Himanta were put to the back burner after he joined the Bharatiya Janata Party (BJP). 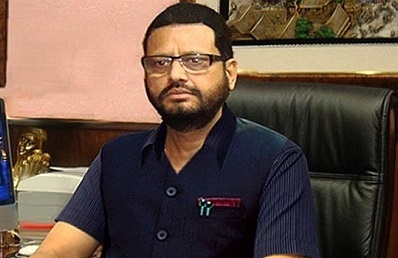 Notably, Matang Sinh was arrested by CBI on January 31, 2015 for his alleged involvement in Saradha Chit Fund Scam for which he was even jailed and had to remain behind the bars for quite some time. However, he, a veteran Congress leader remained loyal to the grand old party. All these developments came on Sunday after the tug of war between Narendra Modi government at the Centre and the Mamata Banerjee government in West Bengal reached its crescendo. Kolkata police rounded up a team of eight CBI officials who had gone to police commissioner Rajeev Kumar’s official bungalow on Sunday evening to question him, and forcibly took them to a police station nearby. This triggered an unprecedented confrontation between the Centre and the West Bengal government. At a time when the Saradha scam is haunting both Assam and West Bengal, influential politicians like Himanta Biswa Sarma and Mukul Roy, former railway minister and one time confidant of Mamata switching parties to evade the clutches of law assumes significance. What’s more the reaction from Matang Sinh came at a right time when he himself was an accused and offender and had faced the music in the hands of the law of the land.